We went to Universal Studios Orlando yesterday in hopes of catching a ride or two on the Hogwart’s Express during the soft opening. 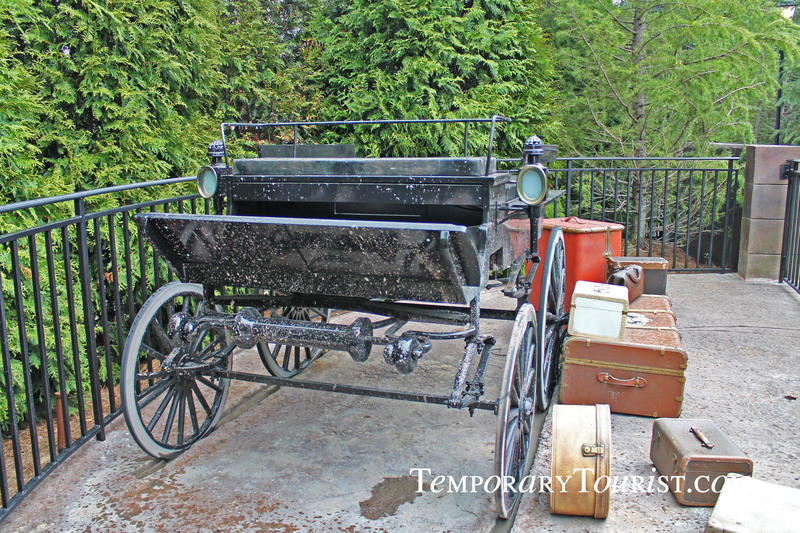 We ended up getting there around 2pm to learn that they quit running the Hogwart’s Express at 1:45. Knowing that the day before they ran it in the evening from 5 to 7pm, we decided to stick around and play in the park for a bit before heading to Islands of Adventure, hoping we would get to ride the Hogwart’s Express late in the day. 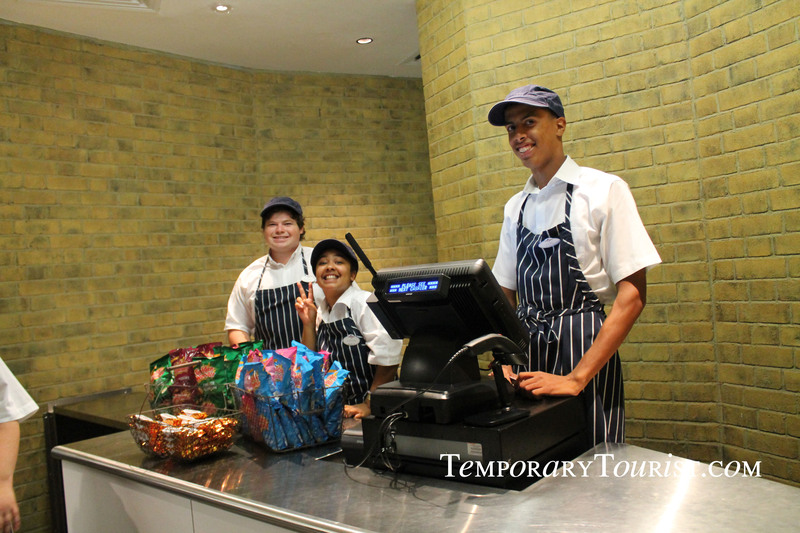 Around 4:50 we headed back to King’s Cross Station to check on whether it would reopen, and even though the cast members couldn’t tell us one way or another, all the signs were there that it would be reopening soon so we stuck around. 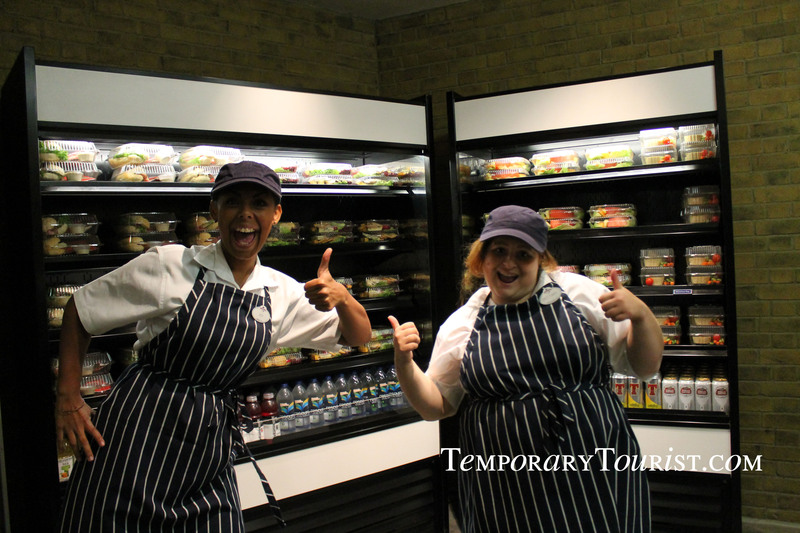 After 15 minutes and several great chats with the staff working there, we were in luck, it opened! 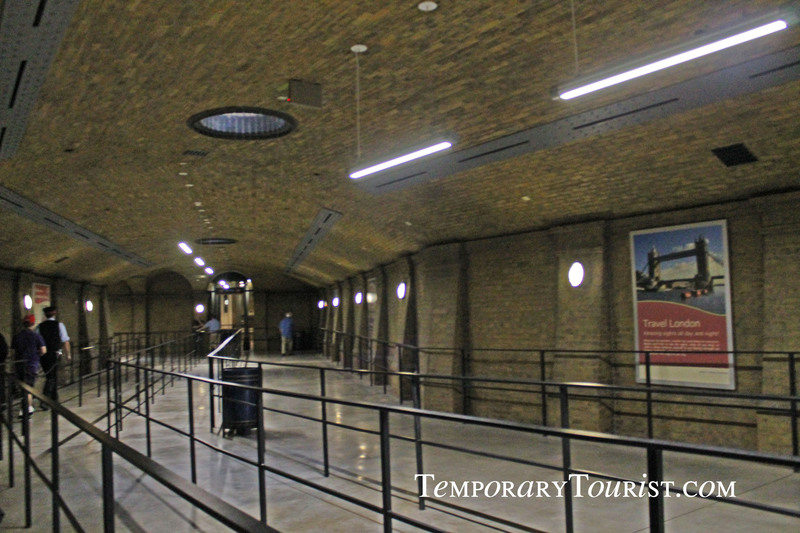 I took a bunch of pictures of the entire attraction, and decided that this time I will show you through Kings Cross Station and the Hogwart’s Express. It is a really long queue but it looks just like you are in a train station. After the first long part, you entire a huge open room that even has a snack shop with beer, pop, water, salads and sweets so you can purchase something to eat for your train ride or to enjoy in line. Because we use our Stroller as a wheelchair for Carson, we had to go up in the lift (elevator), but Pat took the stairs and met us. Stevie took the stroller out the handicap exit to get in line while Pat and I walked through the rest of the queue. 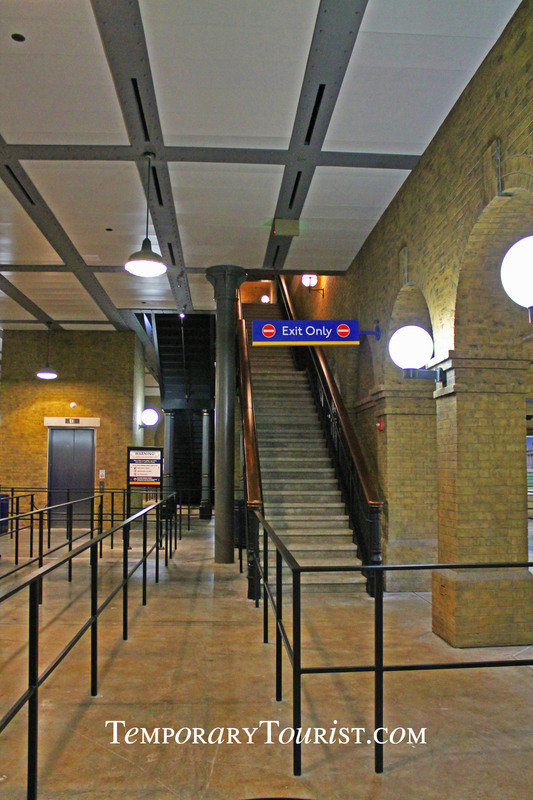 After you are up the stairs, pay attention to the decorations, there is a screen off to your left that allows you watch the others ahead of cross through to platform 9 3/4. 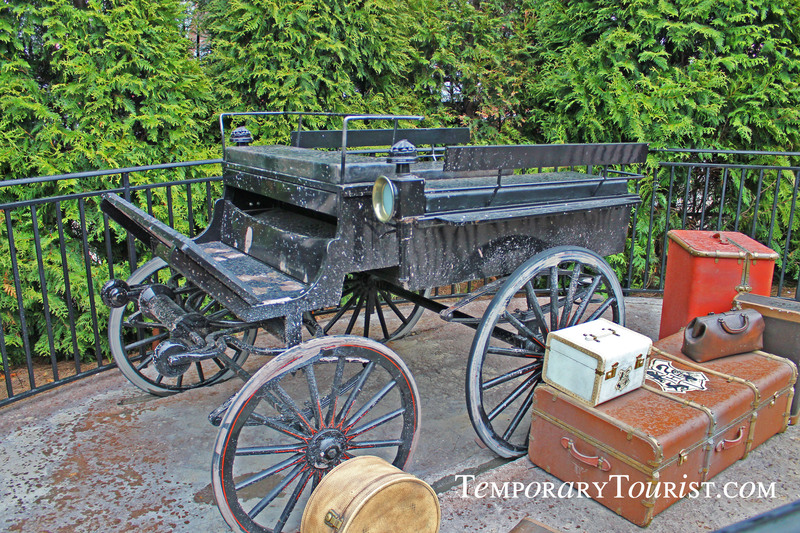 Once outside on the platform you are greeted by Hedwig sitting atop Harry’s trunk waiting to be loaded on the train. He turns his head and blinks his eyes as if he’s looking at all the passengers are walking by. After passing Hedwig, we proceeded to our place on the platform to board the train. The train was just arriving as we were walking toward the far side of the platform. We waited for our turn to board the train on the passenger car. As our stroller doubles as a wheelchair, each car has a compartment where the seat can lift up and provide room. This allows a guest who’s unable to get out of their wheelchair to simply board the train and not have to transfer to another seat. 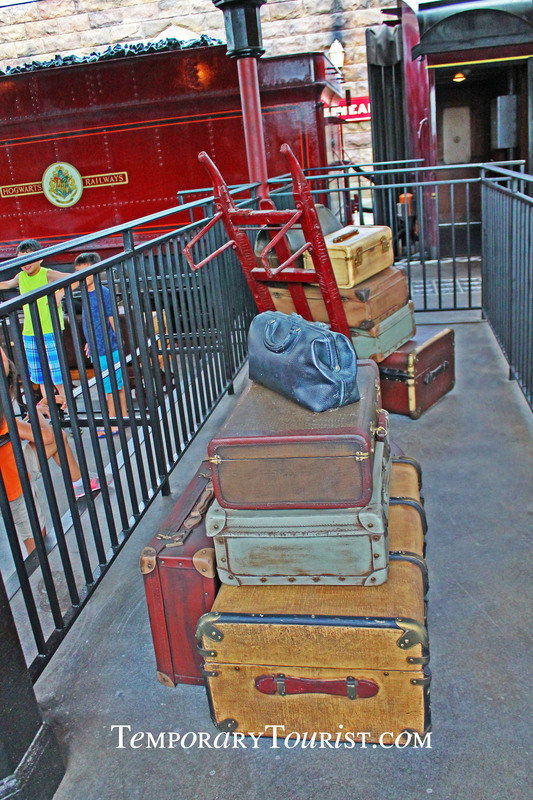 Under normal circumstances, each compartment aboard the Hogwarts Express can hold up to 8 people. So, in our case the compartment held all of our family and the double stroller just fine. 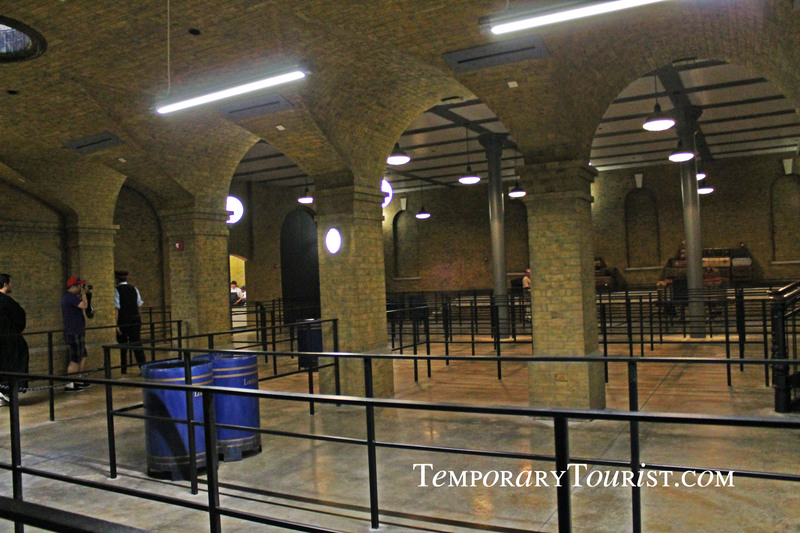 After getting all settled in the compartment, the door automatically closed and within a few moments our trip began to Hogsmeade. We had no idea what to expect during this trip. We thought we’d be looking out the windows of the train and seeing parts of the park or maybe even some of the Universal Florida backlot. Inside the Hogwarts Express, the window is actually a screen looking outside to the streets of London as our train is departing King’s Cross station. 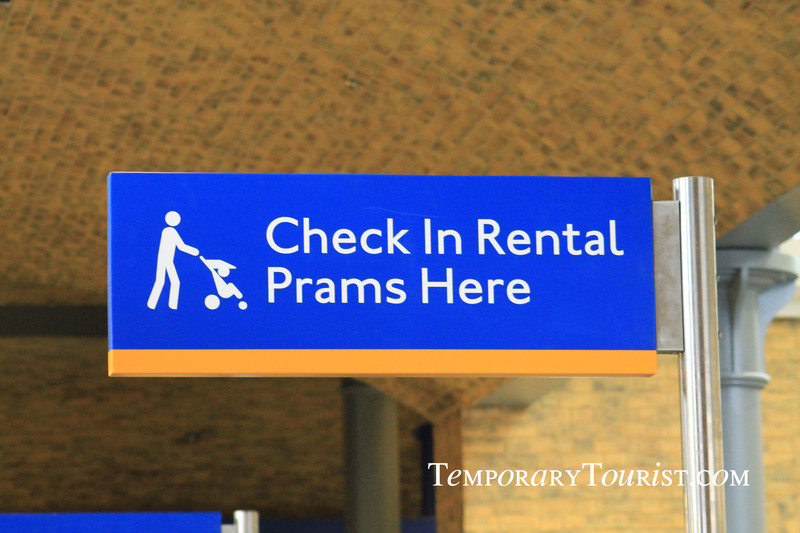 We see several streets of London and eventually into the countryside. The doors looking out to the hallway opposite the train show the shadows of train passengers walking by our compartment. We can hear voices of people talking, such as Harry, Ron, and Hermoine. We even see a dementor floating by leaving a cold hand print upon the window. Luckily, Harry casts an expecto patronum and the dementor disappears! 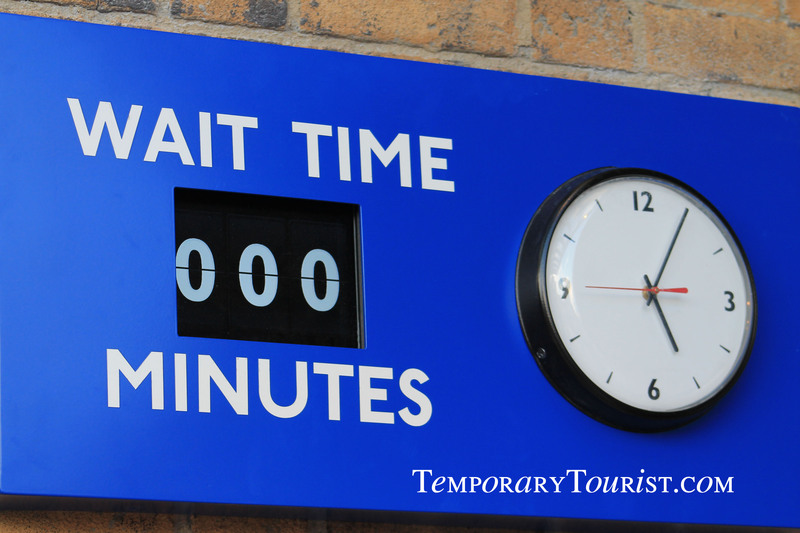 After 5 minutes, we arrive in Hogsmeade. 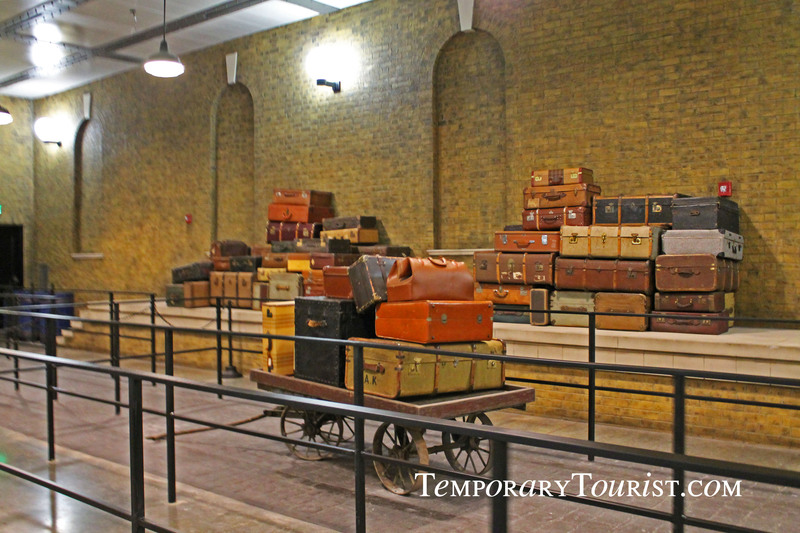 We then leave the train and make our way off the platform and onto Hogsmeade. 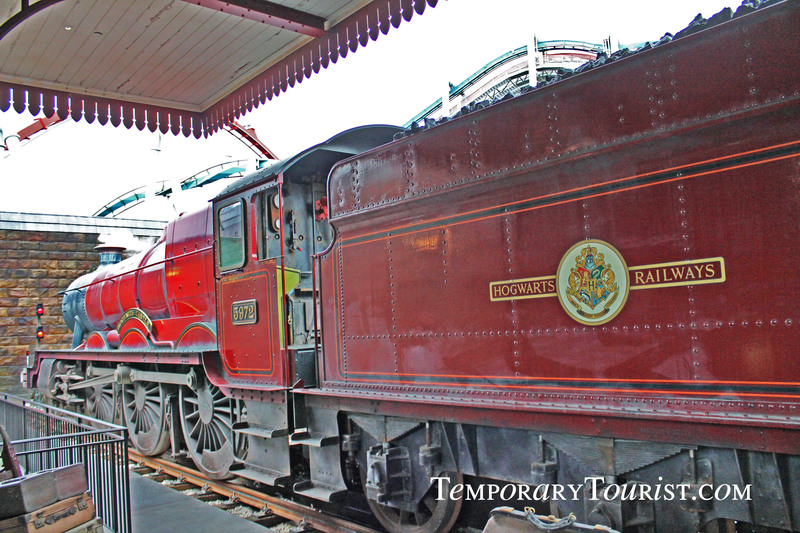 The train arrives right outside the entrance to Hogsmeade in Islands of Adventure. 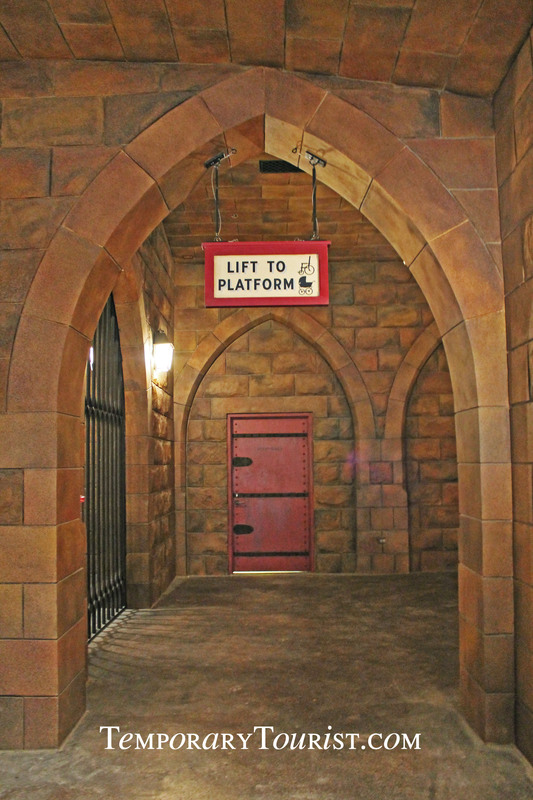 The Harry Potter Dragon’s Challenge roller coaster rides are nearby the station and you can even hear the screams of the riders as they wiz by the walkway. 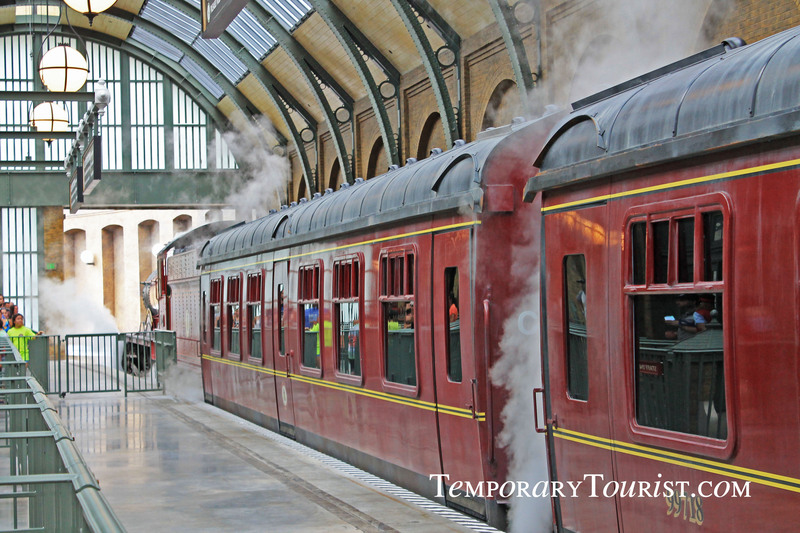 The Hogwarts Express train at Universal Studios Diagon Alley is unlike anything we expected. 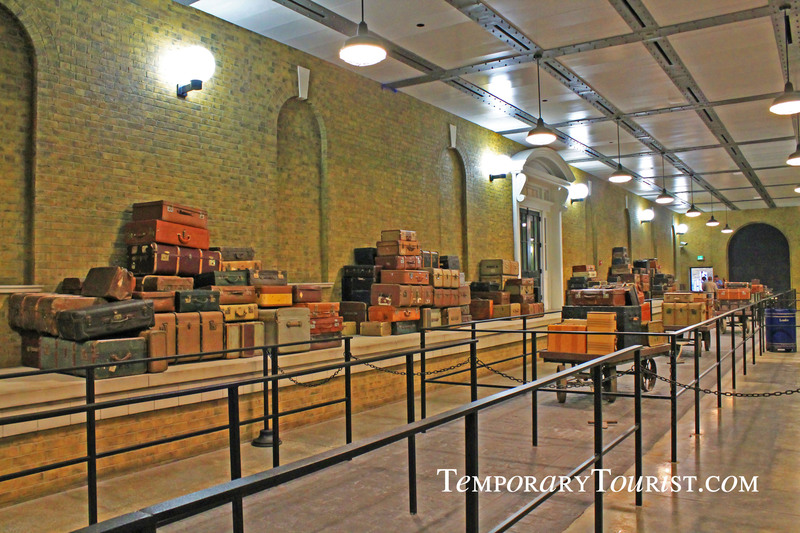 We had imagined the train station would closely depict what appeared in the movies, but simply thought the train ride would be a simple and brief transportation from one park to another. 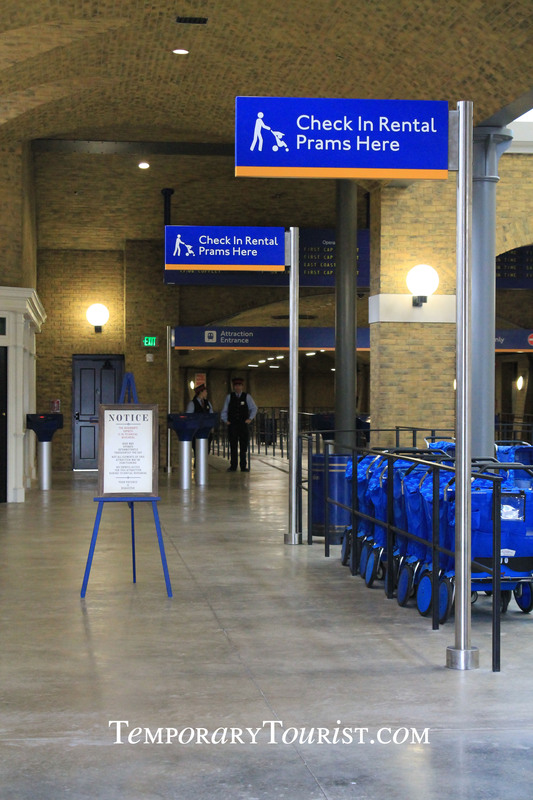 We were completely blown away by how realistic it makes a guest feel when being inside the train and believing you’re en-route to an actual destination, whether it’s London or Hogsmeade. 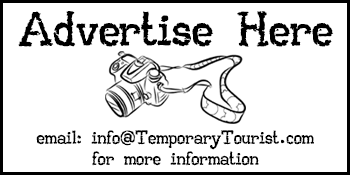 We made a took a video of our complete trip starting from King’s Cross station at Universal Studios all the way to entering Hogsmeade at Islands of Adventure. Give it a watch and we hope you enjoy it as much as we did!